Great news! 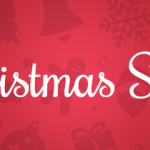 mSpy congratulates you with the winter holidays and opens a big Christmas Sale. We give 25% off for all mSpy products. Grasp your mSpy discount to keep your kids safe online this Christmas. With all hustle and bustle of the Christmas season, parents usually forget about their kids` online safety. Online predators are always there and can lure a kid into the trap anytime. That`s why it is important to keep an eye on your kid`s online activity and to use mSpy app during holiday time as well. View shared and received multimedia files (photos, videos, screenshots). Reason 1. Modern kids are absorbed by their gadgets, playing online games and chatting on social media apps. Christmas is not a time to spend it with a phone. mSpy advise you to block apps and moderate their Internet activity, by setting restrictions and monitoring their Internet usage. Reason 2. During the winter holidays kids will spend a lot of time outside, hanging around with their friends. To know where they are we recommend to track your kid`s GPS location. This feature will give you an opportunity to view where your kid is anytime from your control panel. Reason 3. Kids may visit their granny and or uncle John. To be sure they are safe and in the right place we recommend to use geo-fencing feature. With this feature you can set virtual zones, marking safe and dangerous areas on the detailed map. So, every time your child changes the location you will be informed with the notification. Make sure you follow all safety instructions. Christmas is a great time, but parenting has no days-off. Keep your kids safe everyday with mSpy. 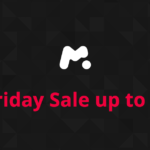 Christmas with mSpy – Big Sale!